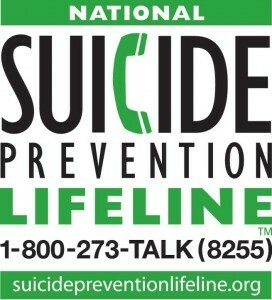 If you or a friend need to talk with a counselor for help or for resources available in your area, call the National Suicide Prevention Lifeline at 1-800-273-TALK (8255), a free, 24-hour hotline available to anyone in suicidal crisis or emotional distress. Your call will be routed to the nearest crisis center to you. Four out of five teens who attempt suicide give clear warning signs. Along with these warning signs, there are certain Risk Factors that can elevate the possibility of suicidal ideation.